There’s a big, bright, beautiful world out there, and it’s just waiting to be discovered by you. Sometimes, we need nothing more than a chance and an excuse to throw caution to the wind, to truly cut loose and get away from it all, and give ourselves some time to really feel alive. I’m not talking about your run of the mill package holidays, where everything has been planned for you by hardworking concierges, while you sip cocktails by the pool (although they certainly have their time and place, too) - I’m talking about adventure. I’m talking about the open road, the pioneering spirit of exploration, with nothing but your car, your companions, a few bottles of decent wine tucked away in the back and the feeling that although you’re not sure what’s going to be around the next bend, you’re pretty certain it’s going to be something wonderful. Now in the twenty-first century, people are more interested in gastronomy and fine wine than ever before. Michelin starred restaurants are attracting a younger, hipper audience, and wine appreciation has been taken back from the hands of the elites, and given a youthful, fun and approachable overhaul that was long overdue. 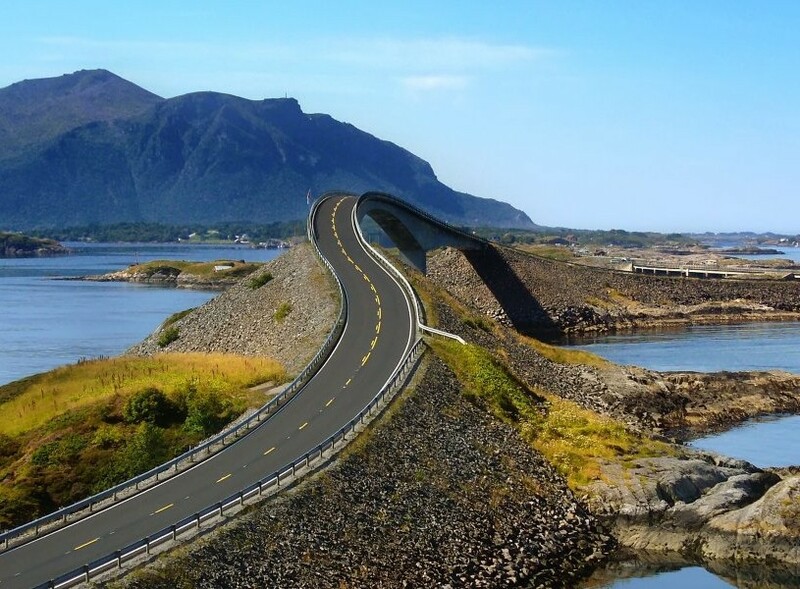 If you’re interested in checking out the absolute best of the best Europe has to offer as part of your road trip, then this route has a bit of everything. You’ll start in the beautiful French city of Bordeaux, home to some seriously stunning architecture, and the undisputed finest wineries on earth. You can either wander the street-side cafes to get your vino fix, or you can visit some of the renowned chateaus - it’s up to you. From there, drive on to chic and stylish Biarritz, where the beaches are lined with the coolest bars, and the surfing (and seafood) is about as good as it gets. 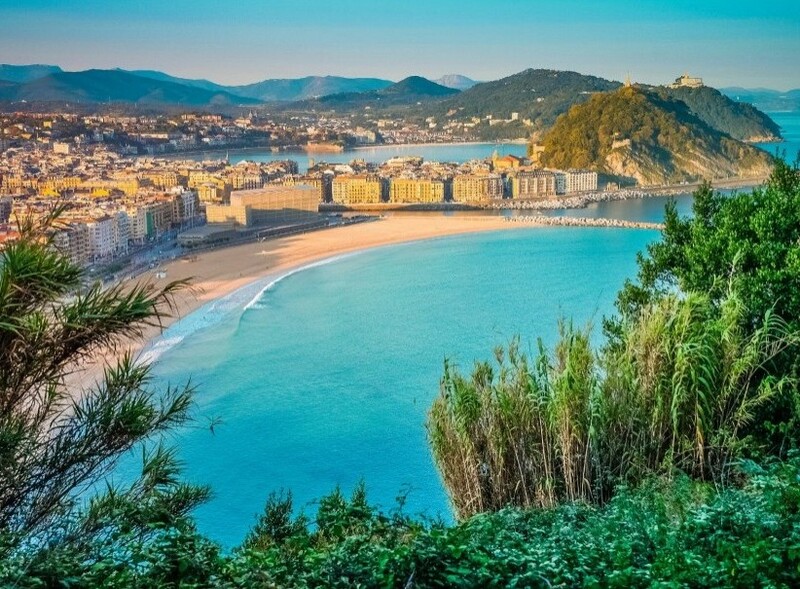 Moving on, you’ll cross the border to Spain, and hit the magnificent coastal resort of San Sebastian. This chilled out city is a mecca for foodies, and is renowned for serving the best dishes found anywhere on earth… and it’s another top surfing spot, too. Finally, Bilbao. Around the Guggenheim art gallery, you can sample the world-famous Basque cuisine, before hitting the renowned surfer hangouts in Hossegor to make the most of the waves (and to burn off a few calories). Eastern Europe is often overlooked as a traveler destination, due to its relatively poor reputation garnered under decades of communist dictatorships. If you’ve got a negative impression of this part of the world, be prepared to be shaken and seriously impressed - it’s one of the most elegant, decadent and truly enjoyable part of the continent. Start of in Vienna, the endlessly suave capital renowned for its cafe culture and superb art scene. 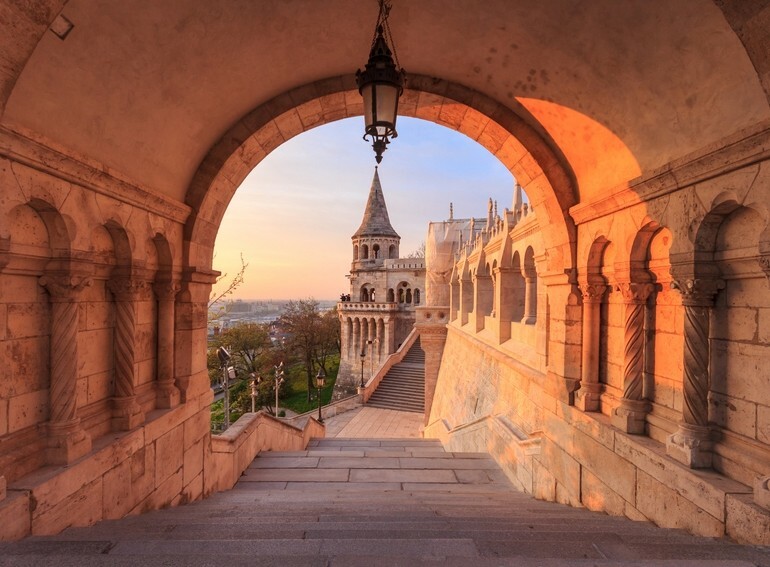 Once you’ve had your fill of strudel and Klimt paintings, head along the Danube road to Budapest. If you haven’t already checked out this funky, bohemian European capital, then you haven’t got a moment to lose. The city features an array of ‘ruin pubs’ - quirky, ramshackle drinking houses where parties go on until the early hours, and the locals are as beautiful as they are fun to be around. After stocking up your car with palinka (top quality Hungarian brandy), head east again. Once you hit Romania, the fun, latin vibe of this former communist country hits you straight away, and border cities like Timisoara have the kind of nightlife that’ll keep you up all hours dancing. Beyond Timisoara, you have the wild expanses of Transylvania - follow the Carpathian pass through the majestic mountains and dark forests that inspired the vampire legends we know and love. Bloodsuckers aside, this is one of the most beautiful places in the world; a true wilderness, punctuated by stunning castles, mysterious villages and seriously good wineries. End your road trip in Bucharest, Romania’s elegant capital city, where you can enjoy the impressive architecture and groovy local street scene the city boasts. Norway isn’t the first country people think of when they need to get away from it all, but it should be. The northern country is home to some of the most spectacular vistas available anywhere on earth - majestic glacial landscapes, carved by natural forces and waiting to take your breath away. Furthermore, cities like Oslo and Bergen are well worth a visit; they have a burgeoning restaurant and bar scene based around the ‘new Nordic’ school of gastronomy which needs to be seen (and tasted) to be believed. This road trip starts off in chilled and colourful Bergen, and then follows the coast road up to the stunning town of Voss, where people gather to gaze in awe at the Tvindefossen waterfall. Then, you can experience the world’s longest road tunnel (24.5 kilometres of engineering marvel, cut from beneath the hulking mountains), before heading north across the stunning fjords towards Geiranger. Here, you’ll encounter one of Norway’s greatest assets: the mountain pass of Trollstigen, widely regarded as one of the planet’s best driving roads, which curls in a series of hairpin turns along some of the most spectacular valley views imaginable. Wind up your Scandinavian adventure by heading to the cool and funky town of Kristiansund, before following the beautiful Atlantic road to Trondheim, where you can relax with some northern lights spotting and a well-deserved beer or two. Bavaria has to be one of Europe’s most romantic and underrated destinations. It isn’t just lederhosen and steins of foaming beer - indeed, you’re more likely to encounter medieval wonderment and seriously fine wine in this part of Germany than anything else. If you’re looking for a peaceful getaway with a loved one, it’s a truly magical place to drive around. The fairytale forests, interrupted by castles straight out of a Brothers Grimm tale are something unmissable, and there’s plenty of opportunity for hiking, biking, canoeing and more if you’re looking for some woodland adventure, too. 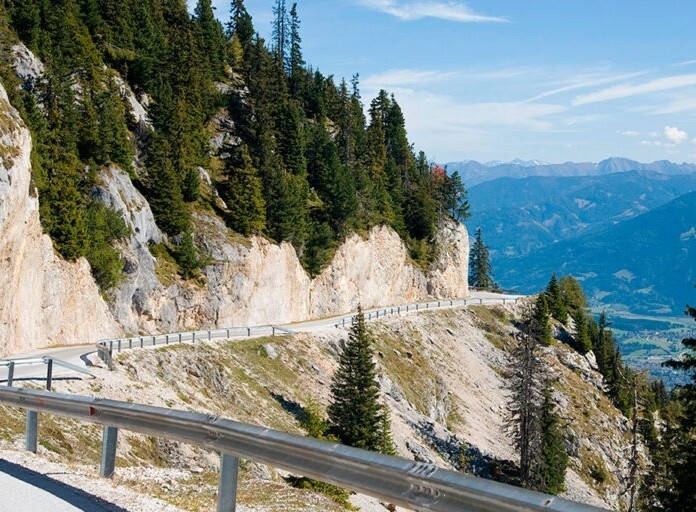 This road trip essentially follows the iconic Alpenstrasse, or Alpine Road; a high altitude highway which takes in Bavaria’s best sights. You’ll begin in beautiful Lindau, and can start your romantic adventure with a couple’s spa experience in Oberstaufen - a world renowned wellness resort. Once you’re fully rested and rejuvenated, hit the road again and head through the forests to the town of Füssen, which is well known for its fine wines and proximity to the region’s star attraction: the fairytale castle of Neuschwanstein. If there’s snow on the mountains, you can get your ski fix in and around Garmisch-Partenkirchen, before following the awe-inspiring Alps to the city of Munich. Ah, Portugal. If there is one European country which is worthy of a road trip in which to explore its many hidden delights, it’s surely this one. From the vibrancy and hip, cool street culture of Lisbon, to the chilled out utopia that is Portugal’s southern coast, this is a land in which you can really kick back, indulge your senses and have some fun. This road trip starts in Porto, the country’s second city, which is all set to be the next big thing in Europe, thanks to its excellent nightlife, amazing gastronomic scene and beautiful climate. From there, you’ll drive east through miles and miles of vineyards (feel free to stop at some of the wineries, too - Portugal’s wine scene is at its peak right now) to the coastal road, and you’ll follow the Atlantic beaches - many of which boasting flawless white sands - through the beautiful Figueira da Foz, and into Lisbon; Portugal’s beating heart and the coolest European capital right now. Drink refreshing Vinho Verde, get your fill of fresh fish, and dance with the beautiful locals, then head south. 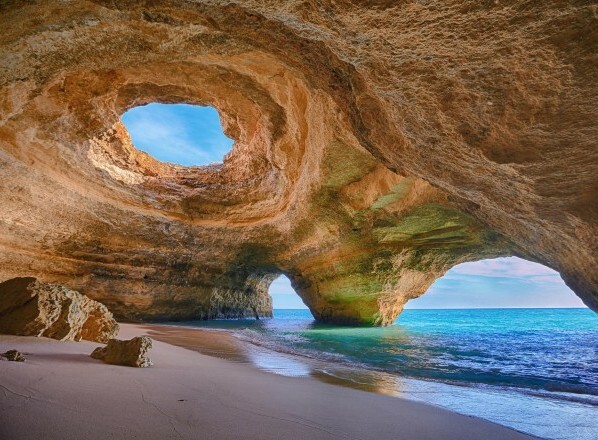 You’ll hit the coastal town of Sagres before getting to the Algarve; Portugal’s Mediterranean paradise where the pace of life slows right down, the beaches are among the best on earth, and the food, drink and hospitality is second to none. Wind things up the regional capital, Faro, where you can reflect back on the absolute magnificence of this once underrated nation. So, there you have it - five European road trips, each totally different, and each offering something really rather special. Did we miss anything out? Have you done any of these road trips and have something to add? Let us know in the comments below!Remember, everywhere you go, we go. Enjoy your travels, and make them an adventure… for life is for living.